digital IGBT Inverter Control technology, gives best welding current waveform control of CO2/MAG arc phenomenon, results low spatter welding. Less buttons. Easy to operate. 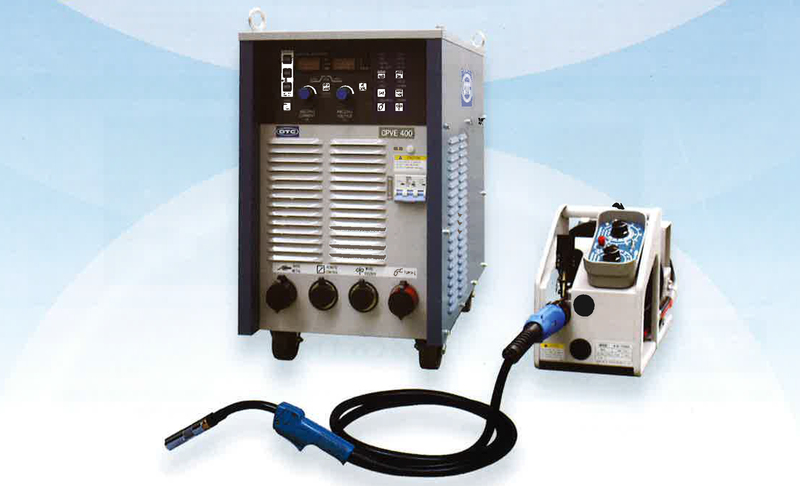 Upto 30 welding conditions can be stored, 10 regular used conditions can be read and operate from remote control box. After stop welding a certain period of time, fan and flow-meter heater will automatically stop which save energy. Initial condition/penetration control/anti stick time and voltage adjustment/ pre-flow and post-flow time adjustment/ up slope and down slope time adjustment. Optional terminal for connecting automatic machine. With key lock function, prevent unintentional operation that may change preset welding conditions. With password function to lock welding conditions.